An Alien civilisation has stolen all the diamonds from the planet Earth so we've decided to send you on the planet knoks to get them back as soon as possible. 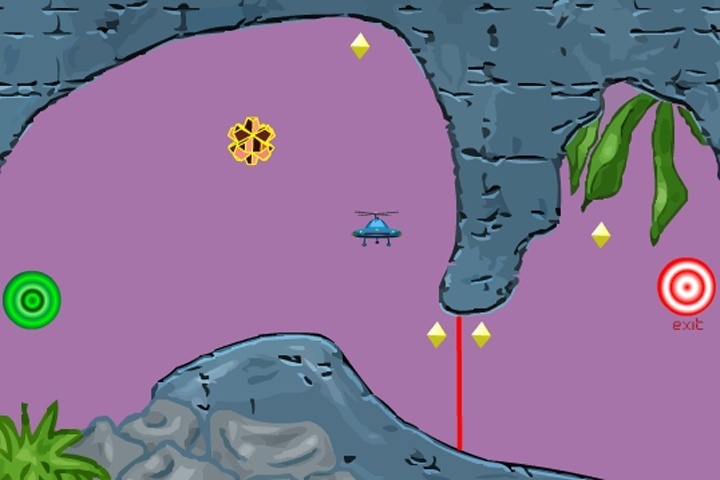 Fly your UFO around grab the goods and dodge the obstacles. Don't run out of fuel. Guide your craft through the caverns collecting items along the way. If you want to play Aliens Land Earth Strikes Back games online you have come to the right place! GamesLoon adds new Aliens Land Earth Strikes Back games every week. This is your game portal where you can find the biggest collection of free Aliens Land Earth Strikes Back games online. Do not forget to rate our Aliens Land Earth Strikes Back free online games while playing!